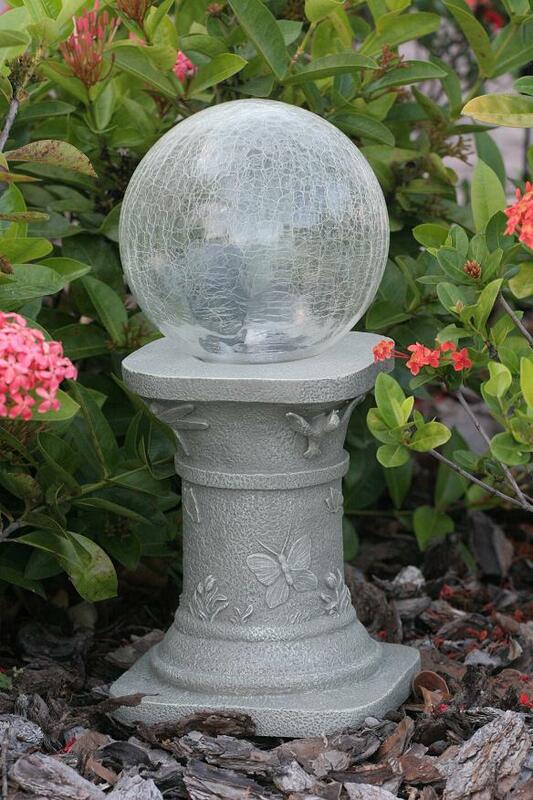 Enjoy beautiful colors and versatility with the Crackled Glass Color-Changing Solar Gazing Ball. 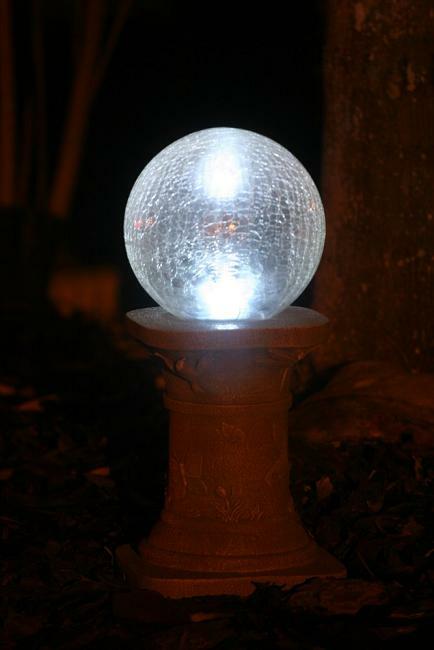 The Crackled Glass Color-Changing Solar Gazing Ball illuminates with dual LED unit provides two options: Color changing mode and/or white. 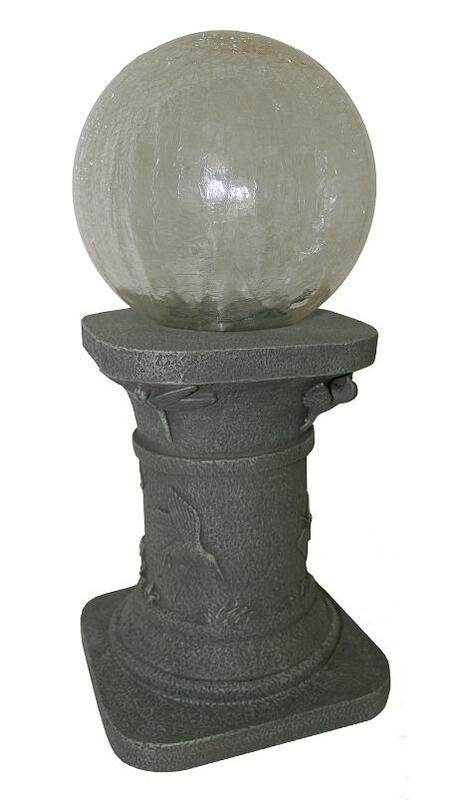 This Crackled Glass Color-Changing Solar Gazing Ball includes a chiseled stand with a square base to add maximum stability. 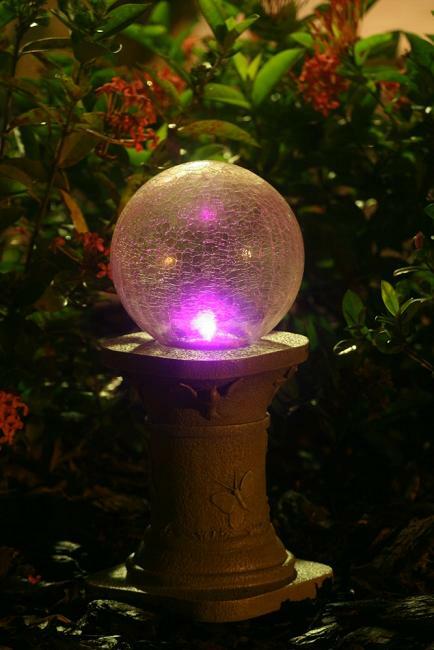 The multicolor LED and white LED inside the ball allows the stored up energy to be converted into the different shades of light, which last up to 10 hours per night. There is no external wiring, which make them very simple to use. Purchase multiple sets for the ultimate outdoor experience!